A book that purposefully and cleverly sparks debate with it’s title. In doing so, it encourages parents and teachers to question what being ready for starting school actually means and importantly what it should mean. 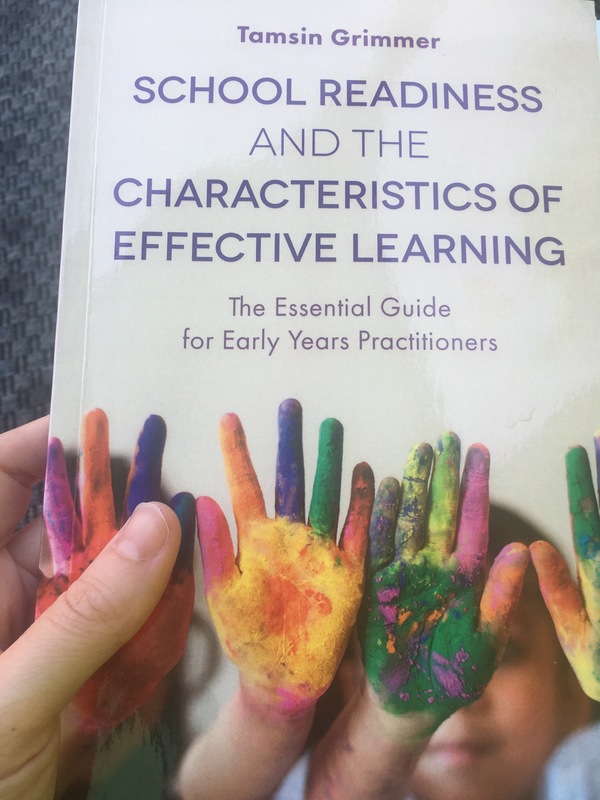 – Thought Provoking- I loved that this book gets people thinking about school readiness and what it means for different people. Tamsin Grimmer explores the different opinions, for example, some define being ready for school in terms of independence (use of the toilet, being OK with separation from parents, getting dressed etc). She also explains her own interpretation of the phrase school ready and the importance of having a clear definition. – Aim to Improve Children’s Education– Tamsin Grimmer comes across as incredibly passionate about the future education of our children. She aims to help improve policy and ensure that children in EYFS are learning through play and exploration. She explains how children are learning through play and why it is imperative for young children to be allowed to learn through multisensory play. – Provides Useful Advice – This book is packed full of incredibly valuable advice for parents and teachers alike. One of my favourite pages was on ‘Ideas for supporting children through change’ which provides some brilliant tips for helping children who are starting School in September. For example, not over stressing about it, letting them try on their school uniform before hand, having a practice journey to school etc. – Engages the Reader– I enjoyed the style of this book. It is informative and inspiring. There are also scenarios provided for the reader to think about and compare to, creating opportunities for reflection on one’s own parenting/teaching.